Nonprofit, mission-driven organizations overwhelmingly want to assess their impact — and, generally, they put effort into doing so. The Center for Effective Philanthropy’s recent report, Assessing to Achieve High Performance, underscores the importance nonprofits place on performance assessment; almost all nonprofits surveyed in the study report collecting information to do so. The trouble is, most nonprofits struggle to collect the right information and use it effectively. In addition, these organizations cannot afford to build internal capacity or hire outside experts to conduct strong evaluations. This is where foundations can and should be helpful. 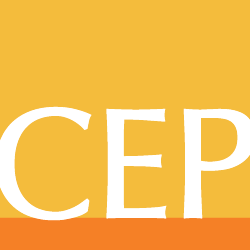 Nancy Csuti from The Colorado Trust wrote a thoughtful reaction to CEP’s report challenging program officers, including herself, to do a better job asking grantees what their evaluation questions are and to provide more support to them toward that end. I think there are a number of ways to be helpful as a funder. One option is adding dollars to a grant to support the internal evaluation efforts of an organization. Another option is to fund and hire an outside evaluation team as part of, or complementary to, a grant. This is probably the most common approach to evaluation and will continue to be so. Though outside evaluation has an important role to play, foundations can also strengthen nonprofits’ capacity by building on their internal monitoring and evaluation efforts — which can then further pay off by increasing grantees’ confidence when they need to work with outside evaluation experts, as well. This can be achieved through “beyond the check” assistance to grantees. Some foundations are already offering this support, and CEP’s Assessing to Achieve High Performance report includes two strong examples. The first, The Assisi Foundation of Memphis, offers local nonprofits a 13-session series called “Before You Ask.” The program, which is offered at no cost, helps nonprofits to outline and clarify their goals and strategies as they prepare to ask for funding from Assisi. Assisi also offers its grantees a no-cost session on evaluation. The second — Mary Reynolds Babcock Foundation — supports its grantees’ capacity to better identify goals and outcomes, as well as assess progress. The Foundation provides this support through their application and reporting processes, in addition to offering the organizational development assistance a grantee might need. Another example of a foundation that offers “beyond the check” assistance to its grantees related to performance assessment is the New York State Health Foundation (NYSHealth). NYSHealth offers a semi-annual evaluation workshop to new grantees coupled with ongoing direct technical assistance, both at no cost to the grantees. The Foundation started this support (which I managed at NYSHealth before leaving earlier this year) in 2008 because grantees seemed to be having a hard time communicating their overall impact in final reports. With a commitment to building grantees’ capacities to assess their own performance, the Foundation worked with an evaluator to develop a program of evaluation technical assistance for its grantees. Today, the workshop is supported by a grant to New York University School of Medicine, which supports a multi-disciplinary team of experts, led by Dr. Carolyn Berry from NYU School of Medicine’s Department of Population Health, and including Dr. Linda Weiss from the Center for Evaluation and Applied Research at the New York Academy of Medicine and Dr. Derek DeLia from the Rutgers Center for State Health Policy. Each team member brings practical experience to the table along with a complementary set of skills in quantitative and qualitative methods, policy and advocacy evaluation, and survey/data collection. Twice a year the workshops convene to provide full-day trainings on evaluation concepts such as logic models, process evaluation, outcome evaluation, quantitative and qualitative methods for data collection, and analysis and reporting. The team also developed a complementary evaluation resource page for NYSHealth’s website, which houses guidance on a variety of topics to reinforce and build upon workshop presentations. Finally, the team offers direct technical assistance (at no cost) to grantees that participate in the workshop and ask for more hands-on guidance. Grantees who do take advantage of this help have varied needs ranging from selecting relevant metrics, to identifying existing data, to understanding methods for collecting their own primary data. Being evaluators, the technical assistance team conducts a survey at the end of every workshop to determine whether tweaks to the program are needed and to ensure customer satisfaction. From these surveys, the Foundation has been able to better understand how grantees experience the workshops — learning, for example, that participants feel the information is easy to understand, that the speakers have the appropriate knowledge and expertise to guide the workshop, and that the hands-on assistance is useful. Additionally, the surveys reveal that grantees appreciate the opportunity to connect with one another on this topic in a learning environment. Clearly, the most important outcome of these workshops is the capacity NYSHealth is helping to build within the organizations they serve, which the Foundation measures by any in-house assessment the grantees undertake and the quality of their final reports. One example of a grantee that experienced a positive outcome from these workshops is The Health and Welfare Council of Long Island (HWCLI). HWCLI received technical assistance, both as a participant in the workshops and individually during one of NYSHealth’s first rounds of evaluation support. The evaluation team initially helped HWCLI establish ways to track the improvements they made in determining eligibility for Medicaid on Long Island. Several years later, when the organization received a grant as part of a cohort of NYSHealth-funded projects to facilitate enrollment into Medicaid and other health insurance coverage options, HWCLI sent new staff to the workshop and immediately reached out to the evaluation team to develop and implement a client survey. They had reached the point where they appreciated the value of moving beyond assessing service delivery to assessing outcomes. Moreover, they became a role model and evaluation champion to the other grantees in their cohort. NYSHealth makes an annual grant that averages $150,000 to fund these workshops and individual technical assistance. This assistance is a fraction of the Foundation’s overall annual payout, but it produces a significant payoff when it comes to the capacity it builds across NYSHealth’s grantee organizations. Kelly Hunt is the founder of Hunt Strategy Group, where she is a senior consultant to philanthropic and nonprofit organizations. Prior to starting the group, she was chief program learning officer at New York State Health Foundation. Follow her on Twitter at @KellyHunt2006.